Japan is one of many countries in the world with never-ending opportunities for Filipino workers. 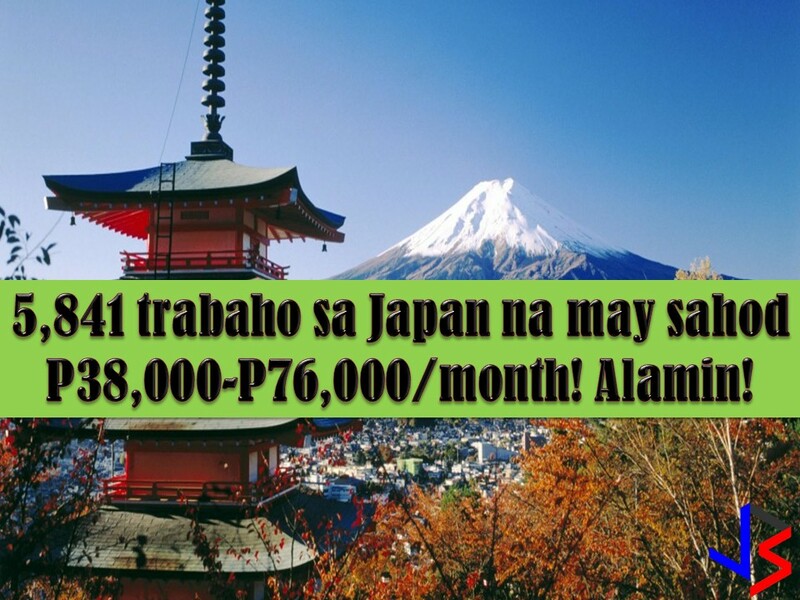 According to Philippine Overseas Employment Administration (POEA), there is 5, 841 job order to Japan. The salary is at least P38,000 which can be more than P70,000 depending on the position. The following are needed in Japan with the corresponding salary. Read: Is San Marino Country A New Destination of OFWs? But Where In the World is San Marino? According to Jocelyn Sanchez, POEA deputy administrator, Japan will be needing more worker because of infrastructure projects to be built for 2020 Olympics. On the other hand, there is a possibility that Filipino health care professionals will be needing in San Marino, including nurses and caregivers. San Marino is one of the smallest countries in the world but on the 11th spot as the richest country in the world. The country is a landlock and surrounded by Italy. According to Sanchez, it is important for OFWs to have new destination because the Philippines has many nurses to supply the demand.